How to make my MOST POPULAR JEWELRY DESIGN: The Collage Necklace. You’ve already got a lot of broken necklaces and vintage pieces from your Grandma. Guess what?! I’ve made hundreds of necklaces using only those two things. And in this FREE class I’m gonna show you: exactly how to take that stuff you have been wanting to fix and turn it into a new necklace. Best part: you’re gonna wear it and love it. I love that you want to make your own jewelry! You are gonna be able to make as many necklaces as you darn well want from this one FREE class! From one DIY girl to another, I can’t wait to show you just how I make my best selling pieces, so here ya go! I’ll send it to you now so you can get started right away! I wanna know how to make my own necklace! Paula Thiel is a jewelry designer and entrepreneur who loves all things beautiful. She runs a brick and mortar boutique and personally styles and teaches women how to dress their best. 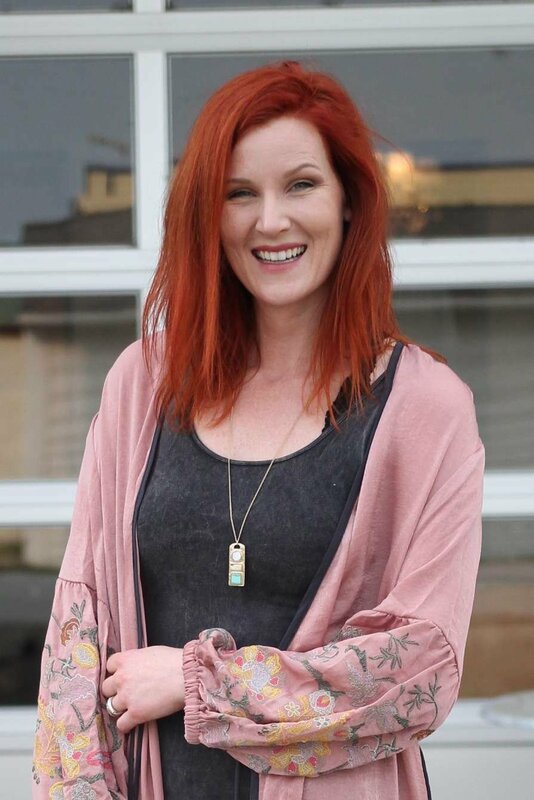 She has taught many in-house jewelry classes and loves to see people discover their unknown creative gifting. She hosts an annual fashion show, where up and coming designers are given a platform to show their beautiful pieces. All of these things have the same goal in mind. That it is to see others succeed in their endeavors.